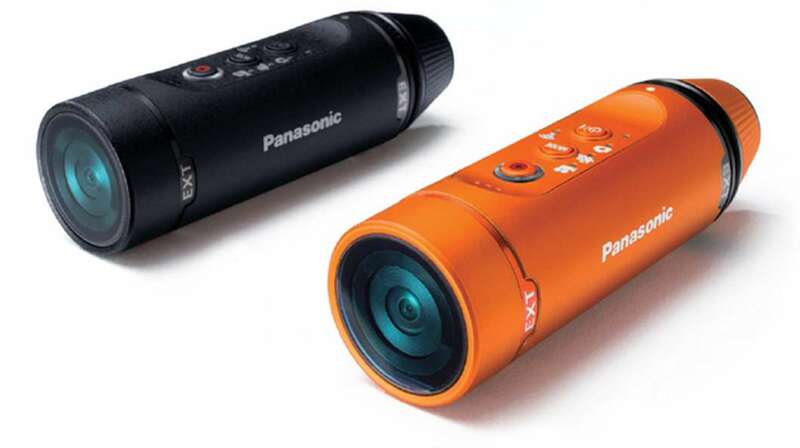 Panasonic released new action-camera Panasonic A1 : Ultra-Light Wearable HD Action Camera, that is shipped in 2 colors variations : orange and black. Camera weights 45 grams and has shockproof ( does not brake when falls from heights up to 1.5 m ), freezeproof ( down to -10 degrees by Celsius ), dustproof and waterproof functions. It is supplied with Panasonic lens with 150 and 120 degrees field of view without optical zoom and 30 cm minimal focal length. It has MOS sensor with 1/3″ size and 3,54 MP resolution; it supports video recording in following modes : 1920×1080/30p, 1280×720/60p, 1280×720/30p, 848×480/30p and 848×480/120p, and photo shooting in 2176 ｘ 1224 pixels resolution. Panasonic A1 : Ultra-Light Wearable HD Action Camera records video in MPEG-4 AVC/H.264 format, audio in AAC mono format and photo in JPEG format. Camera sizes are : 26 x 26 x 83,1 mm ( width x depth x length ). It supports Wi-Fi and USB 2.0 connections for data transmitting; USB 2.0 connection is also used for internal battery recharging. Camera can record at night time with special lens for infra-red recording. Package contains : Panasonic A1 : Ultra-Light Wearable HD Action Camera itself, lens for infra-red recording, universal mount, tripod mount and user’s guide. Polaroid prepares to release new stylish gadget Polaroid Cube at 31 August of this year. 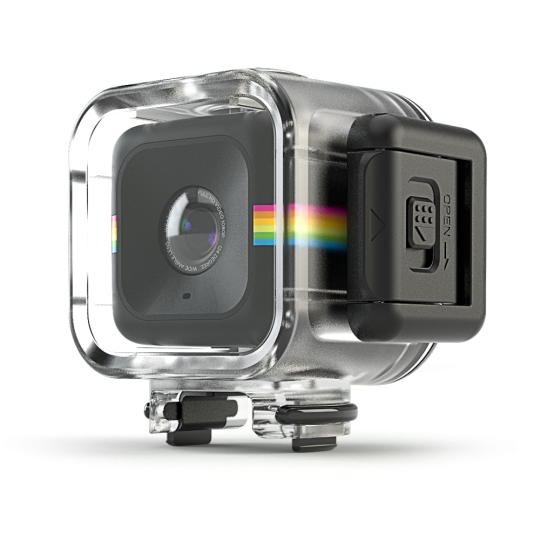 It is action-camera in form of cube with 35 mm side, that is released in 3 colors variations : black, blue and pink. It can record videos in following modes : 1440p ( 30 frames per second ), 1080p ( 30 or 60 fps ) and 720p ( 30, 60 or 120 fps ); and has 8 MP CCD-sensor for photos shooting with image stabilization in photos and videos recording modes. Camera can record videos from 1 charge of battery for upto 107 minutes. Polaroid Cube has microphone for audio recording and it is supplied with optical objective with 124 degrees field of view and 4.6x optical zoom; also it has Wi-Fi connectivity support, which allows it to transmit photos and videos directly to mobile devices. With use of this connection there is ability to remotely control camera, for example, there is ability to remotely trigger videos recording or photos shooting. Polaroid Cube stores data on MicroSD flash cards with maximal capacity upto 128 GB. It is weather and shock resistant and with special waterproof case it can be used underwater. There are lots of mounts released for camera : on helmet, on bicycle, on bumper and for other vehicles parts and sportive equipment. Now camera is available for preorder and those customers, who will do this, will receive for free waterproof case for it. Package of camera contains : Polaroid Cube camera itself, MicroSD flash card, clip mount, user’s guide, battery and charger. Now it costs 149.99 USD. All in all it is good action-camera, with affordable price for such stylish novelty; it is also worth to note, that there are more functional cameras, that cost less, for example Xiaomi Yi Action Sport Camera. Xiaomi Yi Action Sport Camera is competitor of many more expensive cameras of this type. It has 16 MP CMOS sensor for photo and video recording. Maximum photo resolution is 4608 x 3456 pixels. Camera can record videos in following modes : 1080p@60fps, 1080p@48fps, 1080p@30fps, 1080p@24fps, 960@60fps, 960@48fps, 720p@120fps, 720p@60fps, 720p@48fps and 480p@240fps, with stereo sound recording at 96 KHz sampling rate and signal to noise ratio of 92 dBa. Video is encoded in H.264 format, which allow to preserve good picture quality. Xiaomi Yi Action Sport Camera weights 72 grams and has aspherical objective with 155 degrees field of view, which reduces image distortions at such high FOV. Its battery has charge of 1010 mAh, with low power consumption this allows camera to work for long time with one charge. It is worth to note, that camera has Wi-Fi and Bluetooth connectivity functions and allow to transmit data directly to mobile device in 40 meters range. 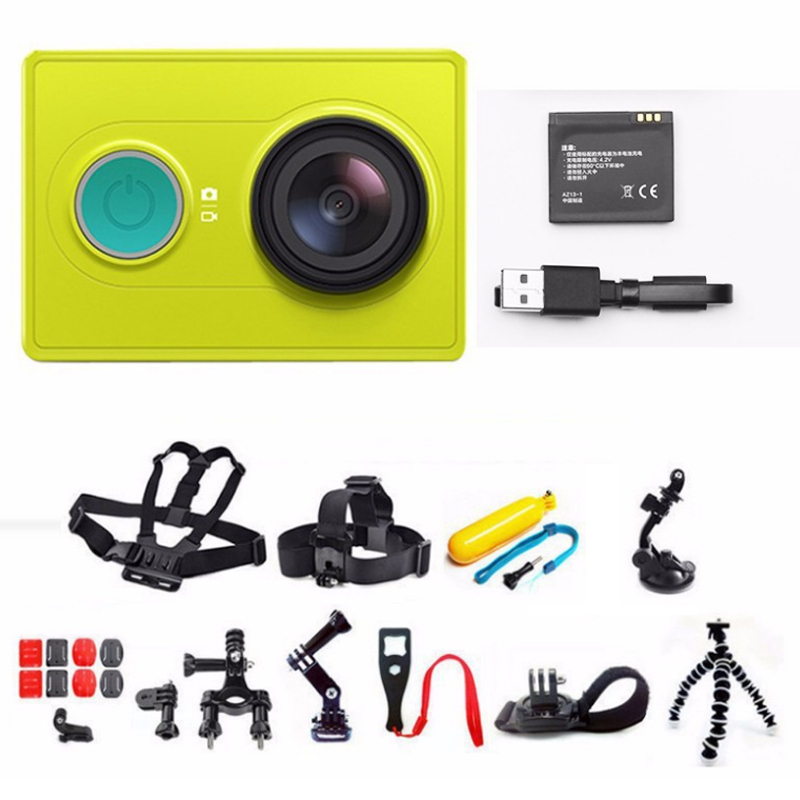 Xiaomi Yi Action Sport Camera has lots of accessories ranging from underwater case ( which allows to record videos and photos in water depths downto 40 meters ) and different holders to bicycle and motorcycle mounts. It stores data on Micro SD cards with maximal capacity up to 64 GB. Package contains : Xiaomi Yi Action Sport Camera itself, Micro USB cable, battery and user manual. At the middle of summer of 2015 year it costs around 100 USD and has lots of advanced features, which make it very serious competitor of many other action-cameras, which are priced at much higher levels. It is also worth to note, that camera supports accessories of GoPro cameras and those, that compatible with them.